Your windows are one of the first things your customers and staff see when you pull up outside your office, and when they look grotty, it reflects badly on the company. Our skilled window cleaning team helps companies all over Yorkshire keep their offices looking immaculate all year round. This is the tried and tested method, used for decades by window cleaners across the land. 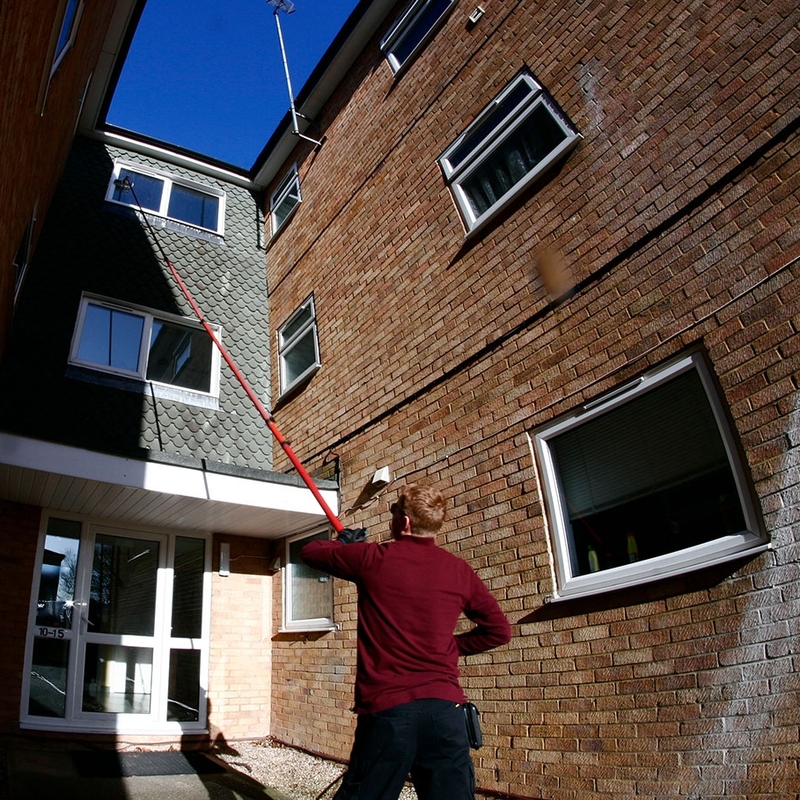 It’s ideal for two to three storey offices – anywhere our skilled cleaners can reach by ladder. With our tall ladders, buckets of cleaning solution (containing no harmful chemicals), squeegee and microfibre cloth, we’ll clean your windows, frames and sills by hand, and can scrub off any stubborn stains. It’s great when there’s only a tight space to work with, and we can even come in and clean the inside of your windows if you’d like – for a completely spot-free finish. The modern way to clean windows involved purified water being pumped up a telescopic pole to a brush head. 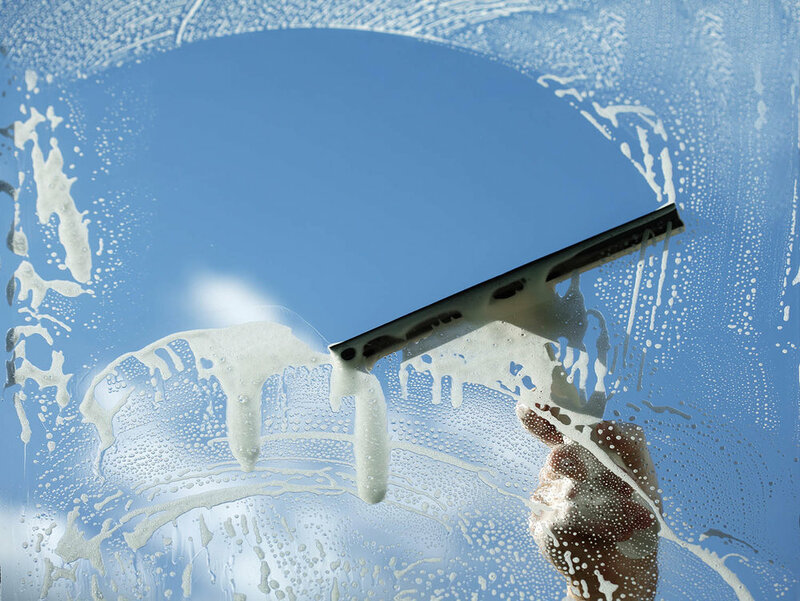 We jet the water onto your window, then brush to remove dirt, then rinse off to let it air dry. It allows us to reach up to 8 floors up – great if you live in a tall office block. Plus we can clean your entire façade, cladding and panelling. And with no ladders involved, it’s quicker and cheaper than the traditional method. Local independent window cleaners can be unreliable, but with County Cleaning, you get a trusted team from Yorkshire, with years of experience helping businesses across the county have pride in their offices. We’re trained to work with ladders (if needed), and we use all the latest equipment to make sure every window gleams. And since we’re a small company, we’re very affordable.